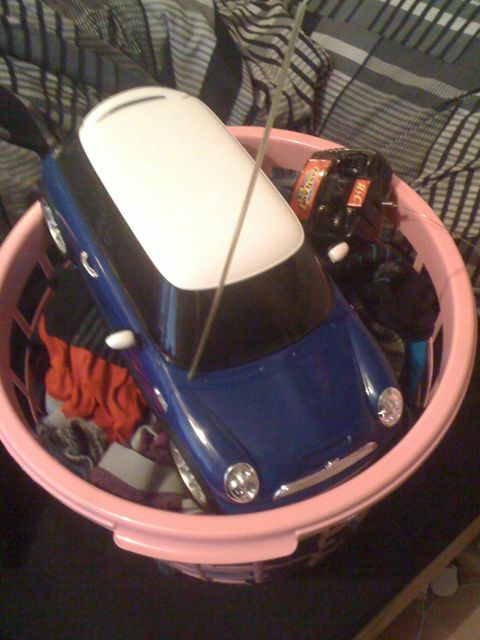 As I have mentioned previously, I am looking into controlling a toy car through mind power. 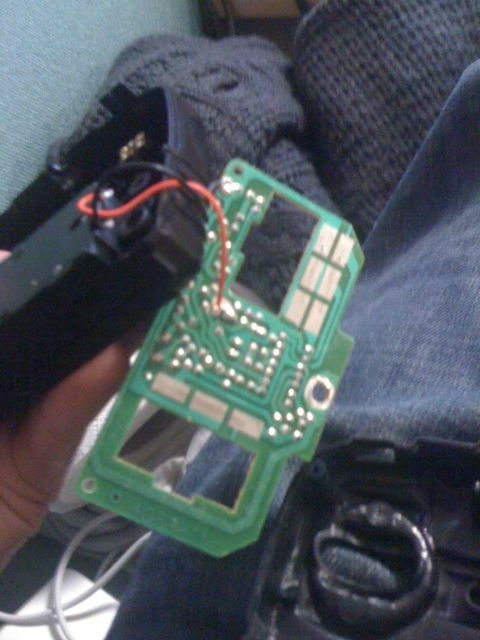 Today I got the car off of Luke and had a quick look into the controller to see how easy it would be to hack. After speaking with Kim our resident electronics expert, it is decided that I should use relay switches to turn it on or off. 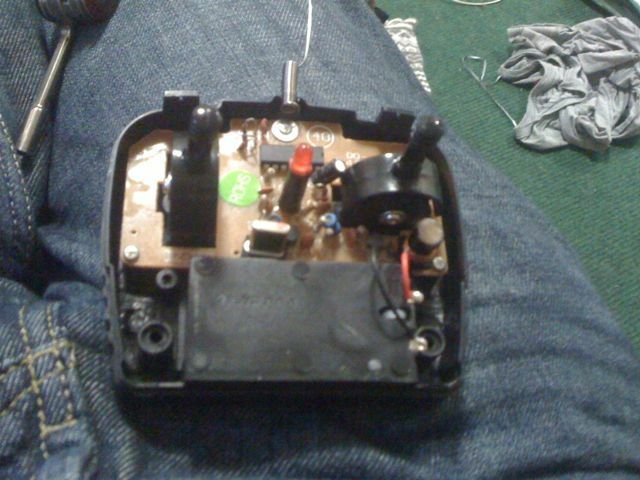 As it turns out, that is exactly how the controller works anyway using simple contacts to make the car move. What I originally wanted was to be able to control the car on a variable scale. Just like a real car. This would also let me be able to map how hard you are concentrating to how fast you are going. Doing it on an on/off basis makes things a little less slick as I will have to put in boundries. For example, I now have to say, if you are concentrating a certain amount the car will move, if not, it wont. I might also put in that if you arnt concentrating enough and are too relaxed the car will go backwards. Could be interesting for a race, to turn corners you have to slow down by relaxing but not too much as you will start going backwards. Hacking into this should be pretty straight forward, the contacts are easily available and not hidden away at all. I bought the relay switches last night. Wee.